Climate Change is geared toward a variety of students and general readers who seek the real science behind global warming. Exquisitely illustrated, the text introduces the basic science underlying both the natural progress of climate change and the effect of human activity on the deteriorating health of our planet. 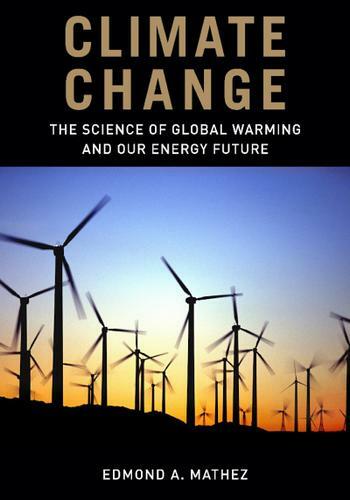 Noted expert and author Edmond A. Mathez synthesizes the work of leading scholars in climatology and related fields, and he concludes with an extensive chapter on energy production, anchoring this volume in economic and technological realities and suggesting ways to reduce greenhouse-gas emissions. Climate Change opens with the climate system fundamentals: the workings of the atmosphere and ocean, their chemical interactions via the carbon cycle, and the scientific framework for understanding climate change. Mathez then brings the climate of the past to bear on our present predicament, highlighting the importance of paleoclimatology in understanding the current climate system. Subsequent chapters explore the changes already occurring around us and their implications for the future. In a special feature, Jason E. Smerdon, associate research scientist at Lamont-Doherty Earth Observatory of Columbia University, provides an innovative appendix for students.